Varennes, Wednesday October 10, 2018 - Longus and J.R. Brisson Equipment are pleased to announce the appointment of Luc Gélinas as Product Specialist. 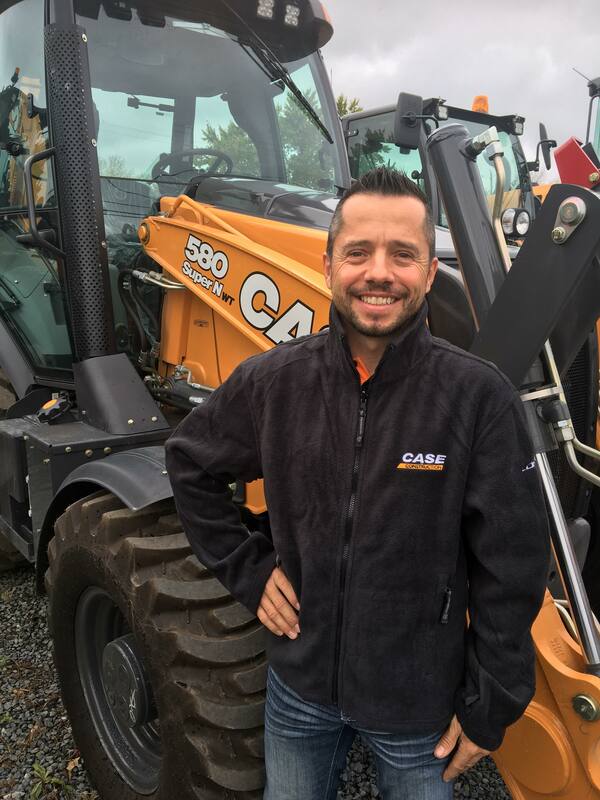 Luc has several years of experience as a trainer and product support manager including the past 5 years with Kobelco. Well known to our organization, Luc will support Gaétan Croteau's efforts with training and technical support. Thanks to his professionalism and his willingness to share his knowledge, he will be an asset for the Terapro Group in terms of customer satisfaction. The whole team of Longus and J.R. Brisson Equipment welcome him and wish him a great success! Employing more than 75 employees with four locations, Longus has operated in the construction and snow removal equipment industry for more than 60 years. The company is known for its unmatched customer service and its expertise in the excavation and snow removal business with the CASE Construction and New Holland products lines. Since 2010, Longus has been part of the Groupe Terapro in partnership with Inotrac and Machinerie CH. Employing more than 45 employees with two locations, J.R. Brisson Equipment has operated in the construction and snow removal equipment industry for more than 100 years in the Eastern Ontario and the Western Quebec. The company is well known for its personalized service and great expertise with the CASE Construction products line. Since 2017, J.R. Brisson Equipment is part of the Terapro Group.